Direct Reply, which was introduced in Android N, aims to help you act on some notifications right away, without having to head into the app first. Its benefit is easily felt in communication apps and we've seen it so far implemented in Hangouts and a couple of other messaging apps. 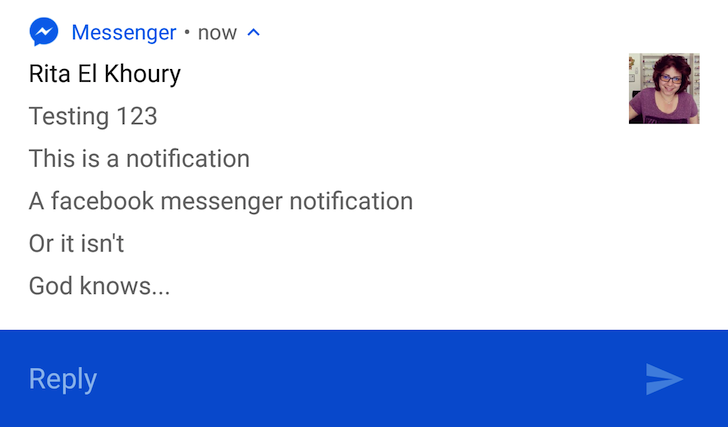 It's now making its first appearance in Facebook's own Messenger, in version 74.0.0.5.65 which is only available to beta testers of the app (or through APK Mirror). 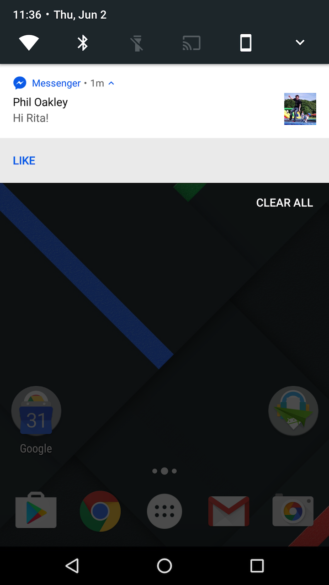 If you're on this latest beta, you'll see a Reply button right beneath the notification, allowing you to type and send an answer to your contacts instantly without having to switch to the app. Facebook Messenger v73 (left) only gives you a Like button. 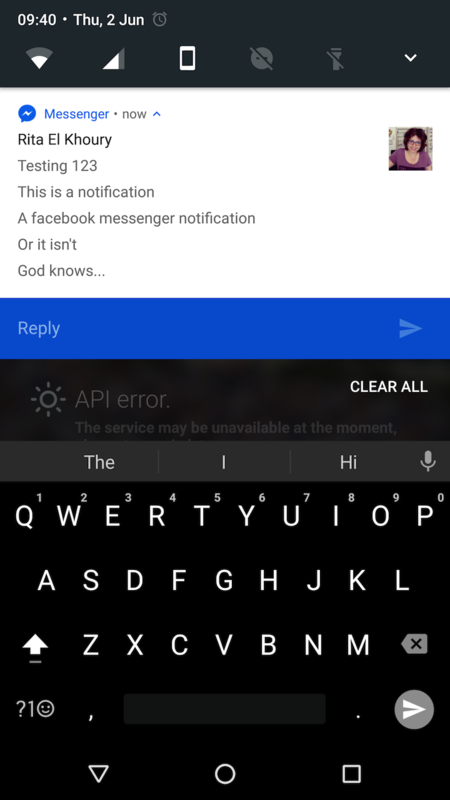 v74 (right) lets you directly reply. The Messenger team has also announced that it's redesigned over 1500 emojis with more modern looks, additional emojis, and diverse skin-tone emojis. The new emojis aren't live in version 74 of Messenger, so they might be coming in a later update or triggered through a server-side switch. 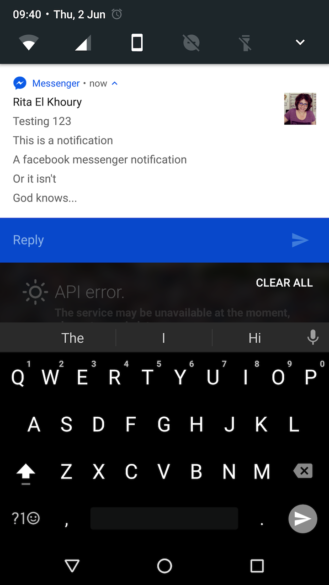 You can grab the latest Messenger beta v74 from APK Mirror or by joining the Play Store beta and then waiting for the app to switch to the beta channel.